From these charter ports and with sailboats most of Greece is within reach, in contrast to island hopping by ferry. The common sailboat charters pertain to Jeanneau Sun Odyssey, Beneteau Oceanis, Bavaria and Ocean Star yachts. Unfortunately, catamarans only make up ~8% of the available sailboats, to widen your options it is therefore wise not to look at catamarans only and request some monohull offers as well. Good sailboats charters Greece from reliable charter companies. Sailboat charter guide to Greece. 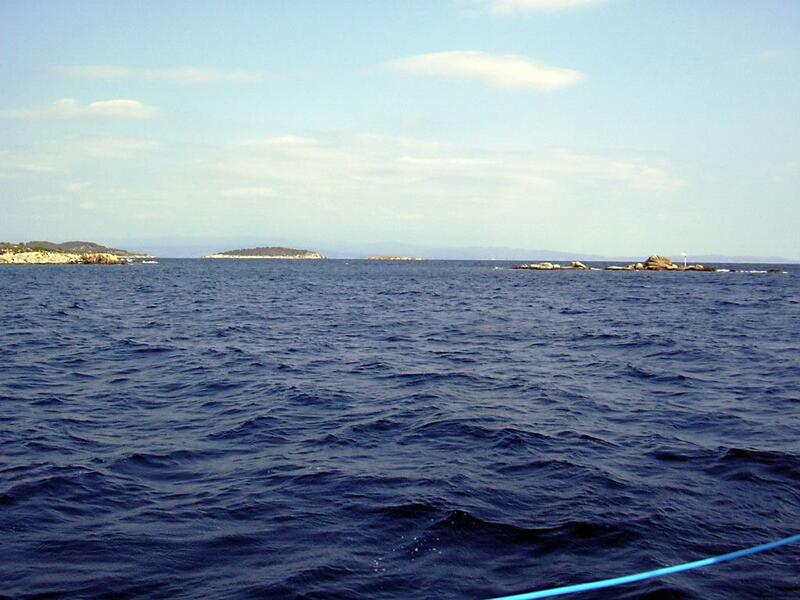 The photo shows the reefs south of Diaporos island on Chalkidiki, Greece, looking east.
.: Back to our sailing vacation in Greece :.